Rakonto founder, Sawyer found his love for storytelling in college. As an undergrad Sawyer volunteered his time to nonprofit research which eventually led him to South Africa and India. While being immersed in these communities, Sawyer realized the power of sharing the stories from people who do not always get the chance to be heard. He observed through strict education systems that students were not being encouraged to embrace creativity and use their own voices. This led Sawyer to develop his own storytelling workshop encouraging kids to share their opinions, teaching the importance of self-expression, and showing kids that learning can be different. Rakonto visits developing communities around the world and partners with schools to host workshops. A typical Rakonto Workshop consists of five stages: The Power of Story, Storytelling Theory, Brainstorming, Prototyping, and Presentation. During The Power of Story students learn about inspirational leaders and how their messages were received. In Storytelling Theory students are exposed to different forms of storytelling such as oral, visual, and written. In the Brainstorming stage students begin pulling from their own experiences to create characters, plots, conflicts, and begin drafting up ideas. Prototyping sparks the creative process with raw materials allowing students to create visual storyboards, read to others, and receive feedback. During presentation students proudly share their story creations with the class. The skills taught during Rakonto Workshops stay with these children for life and encourage young minds to become fearless leaders. 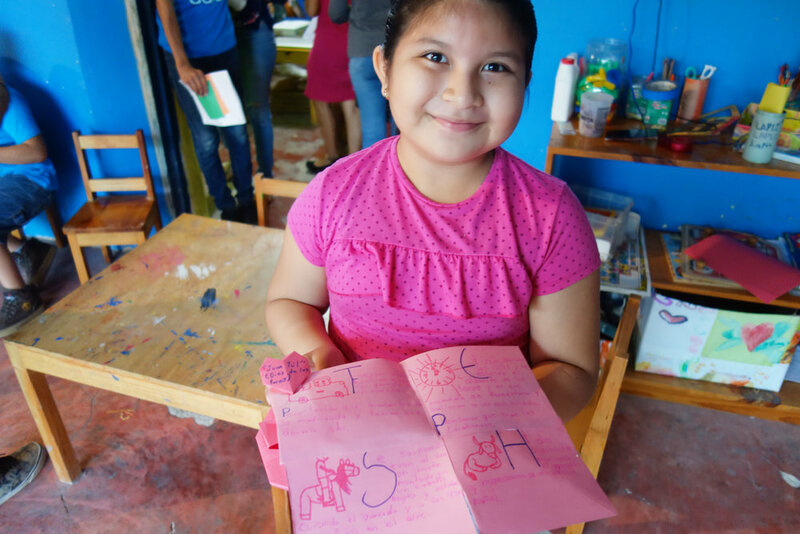 As a result of the workshops storybooks are created and mailed out to Rakonto sponsors, allowing sponsors to see their direct impact on a child's education. The stories printed reflect issues with global relevance and consist of original artwork done by the children. These printed stories encourage sponsors to learn about global issues as well. Storybooks are also sent back to the host school as a reminder to the children to continue expressing their voice. Due to the lack of materials a lot of these communities do not receive new books very often. It is extra special to receive new books written by authors from their own community. So far workshops have taken place in Nepal and the Yucatan Peninsula. Currently, Rakonto has workshops planned in Ghana and Lesotho, but they need our help to reach their Kickstarter goal to make it happen! I encourage you to check out their Kickstarter and consider becoming a sponsor for these children. Thanks to Rakonto for sponsoring this post & being part of The Honest Consumer community!